tl;dr: Why are so many fashion-tech companies focused on making shopping easier? Because the Internet opens up the possibility. Today’s fashion-tech companies are promoting new ways to sell to consumers more than they are pushing forward new styles. “Fashion tech” refers to technology-centered companies that take part in the appearance industries. They sell clothing, accessories, cosmetics, and, to a lesser extent, skincare, haircare, and bath products. The term “fashion tech” is sometimes restricted to just companies working with clothing and accessories. 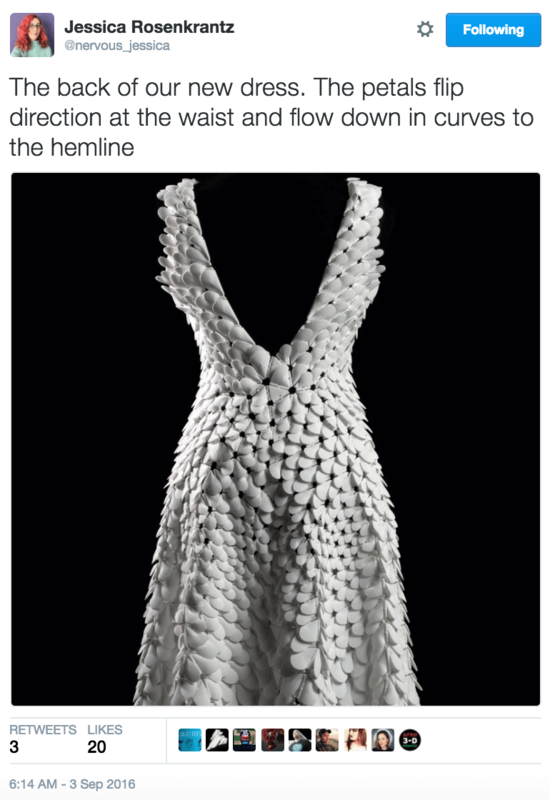 The line between what is or isn’t fashion tech is fuzzy. At Mattermark, we drew the line at a company’s main focus: If it isn’t the consumer’s appearance, it doesn’t count. Wearables that focus on aesthetics, for example, count. Does that make Fitbit or Jawbone a fashion-tech company? No. What about Snapchat and its new Spectacles? No again. And specialty e-commerce retailers fit in, so long as they center on fashion or beauty. Dollar Shave Club, Unilever’s recent $1 billion acquisition, is, therefore, part of the club. Online retailers and marketplaces make up the bulk of this space. Unlike incumbents who have simply uploaded their old assumptions, new companies are adopting different business models that accommodate different chokepoints. In a world of abundant choices, consumer attention is the scarce resource and commanding or directing shoppers’ gazes has tremendous financial power. The majority of fashion-tech startups currently aim their efforts at the process of shopping rather than the clothes or goods themselves. With its antiquated seasonal cycles and focus on name brands, fashion products seem ripe for low-end disruption. And they are, but that competition has come from fast-fashion companies like Forever 21 and Zara, which don’t look so different from their staid Boomer counterparts. The fast-fashion cohort has simply accelerated old-world production and logistics. Technology has streamlined the process, but these companies aren’t predicated on the existence of the Internet. For that, we’ll need a new set of companies to consider. Fashion is a $1.2 trillion global industry, according to the United States Joint Economic Committee. The same reports notes that fashion drives $250 billion in sales yearly in the United States. Data from the Bureau of Labor Statistics shows that the two wealthiest quintiles of Americans increased their spending on “apparel and services” by 11% and 6.8% in 2014-2015. Any startup that diverts a portion of that spend to its own accounts will make its investors and employees rich. So how are they going to do that? Subscription companies like Trunk Club, GwynnieBee, and Ipsy attempt to extend a consumer’s whim-based purchase into months of recurring revenue. Style-focused affiliate programs such as rStyle, LIKEtoKNOW.it, and PopSugar’s Shopstyle take advantage of the rise of “influencers” to capture attention. These programs build relationships with name brands and marketplaces, then both take and give a cut of the purchases driven by bloggers, Instagrammers, YouTubers, and the like. A few startups, like Bevel, focus on the goods themselves rather than the discovery mechanisms. But the general trend is more along the line of Crave’s new app, which uses machine learning to help shoppers mimic celebrities by identifying what stars are wearing in paparazzi shots. Of course, not all fashion-tech companies are startups. Others are the handful of incumbent businesses that have converted well to the digital age. When ranking fashion-tech companies using Mattermark’s growth score metric, Nordstrom and Dollar General are near the top of the list, even though only a fifth of the former store’s sales are sourced from the Internet. They grew up in the old world of geographically constrained distribution, but have since layered e-commerce onto the prior model. Again, this transforms the how of shopping, not the what or the why. Even so, older companies in this space lack the experimental verve of the up-and-comers. Perhaps an exception is the prestige beauty retailer Sephora. The 1970-founded company has its own subscription box and a multi-tiered loyalty program similar to Amazon Prime. Another exception, this time from the focus on curation, is the boutique “generative design studio” Nervous System: “Drawing inspiration from natural phenomena, we create computer simulations to generate designs and use digital fabrication to realize products” (3D printing). Unlike traditional startups in Silicon Valley, Nervous System is not built for massive scale. They are able to undertake speculative innovation of form and aesthetics because they can appeal to a niche audience. If fashion tech follows the traditions of analogue haute couture, new aesthetic ideas may flow through the rest of the ecosystem to be copied by mass retailers. Venture capital isn’t attracted to small-scale artisan work, regardless of the interesting ways the makers are employing computers. In the mainstream of the appearance industries, the products themselves haven’t fundamentally changed. But the way they are delivered has. We may not think of all the companies driving these changes as startups, but the upheaval is based on technology. The Internet opened up the world—companies can sell to anyone, which also means that consumers can shop anywhere. The fashion-tech survivors will have a unique hook or a particularly sticky business model. Header image by Solarbotics, CC BY 2.0. 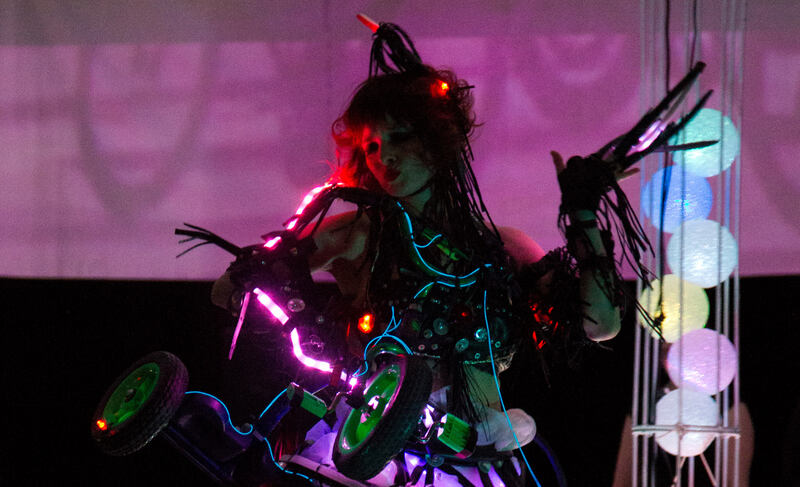 The performer is Maya Lewandowsky.